Dimensions 0.75 by 8.25 by 10.25 in. Creating the perfect loaf of bread--a challenge that has captivated bakers for centuries--is now the rage in the hippest places, from Waitsfield, Vermont, to Point Reyes Station, California. Like the new generation of beer drinkers who consciously seek out distinctive craft-brewed beers, many people find that their palates have been reawakened and re-educated by the taste of locally baked, whole-grain breads. 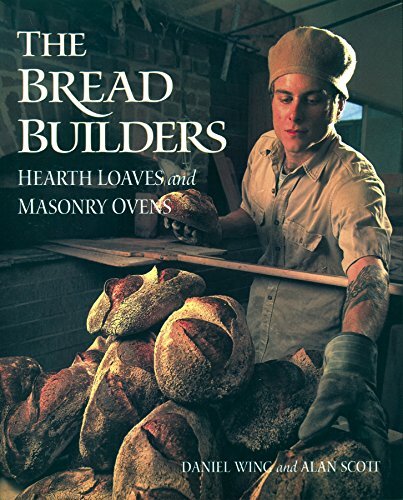 Today's village bakers are finding an important new role--linking tradition with a sophisticated new understanding of natural levens, baking science and oven construction. About: Creating the perfect loaf of bread--a challenge that has captivated bakers for centuries--is now the rage in the hippest places, from Waitsfield, Vermont, to Point Reyes Station, California.